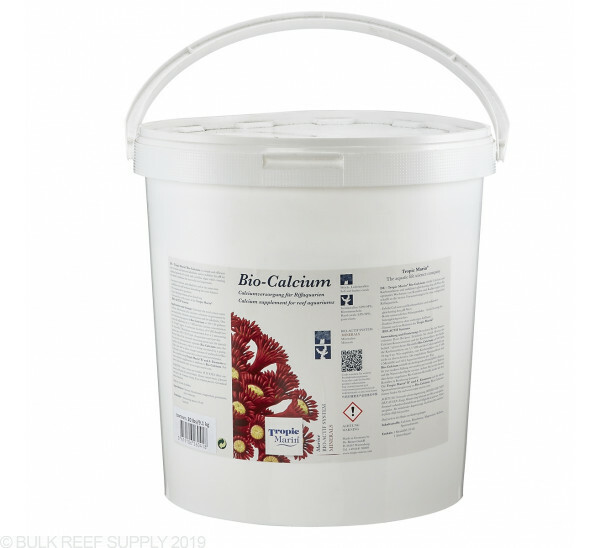 Calcium is one of the most important elements in seawater, as together with carbon dioxide it is required for the skeletons of fishes and corals in the form of calcium carbonate. 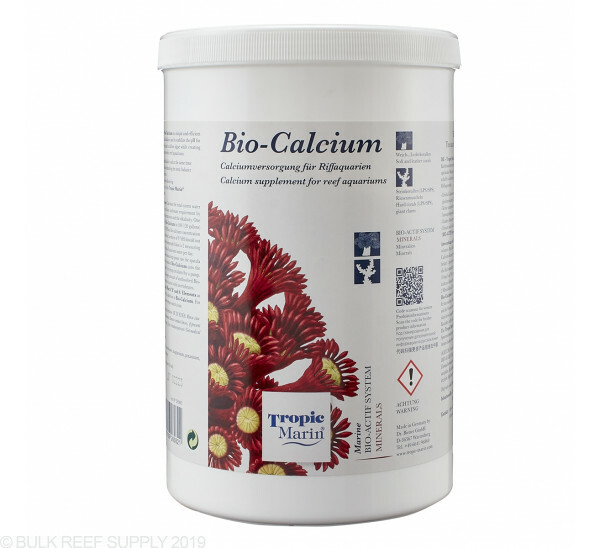 For this reason, calcium should be added to reef aquariums in particular, in order to enable the healthy growth of stony coral and create natural conditions. 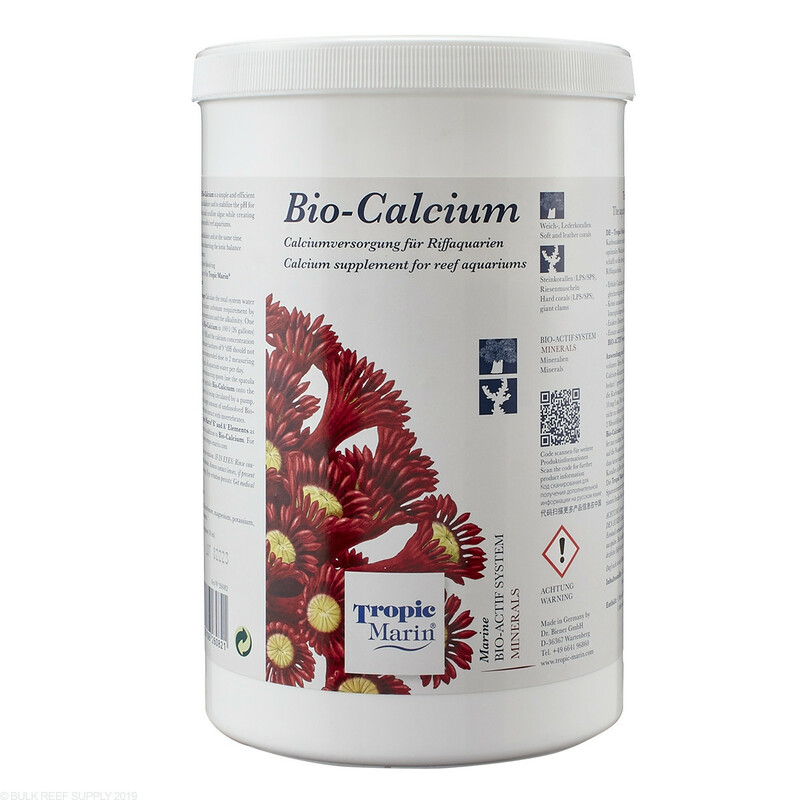 With Tropic Marin Bio-Calcium the tank receives exclusively carbon dioxide and calcium in the biologically-ideal form in accordance with the Balling Method. 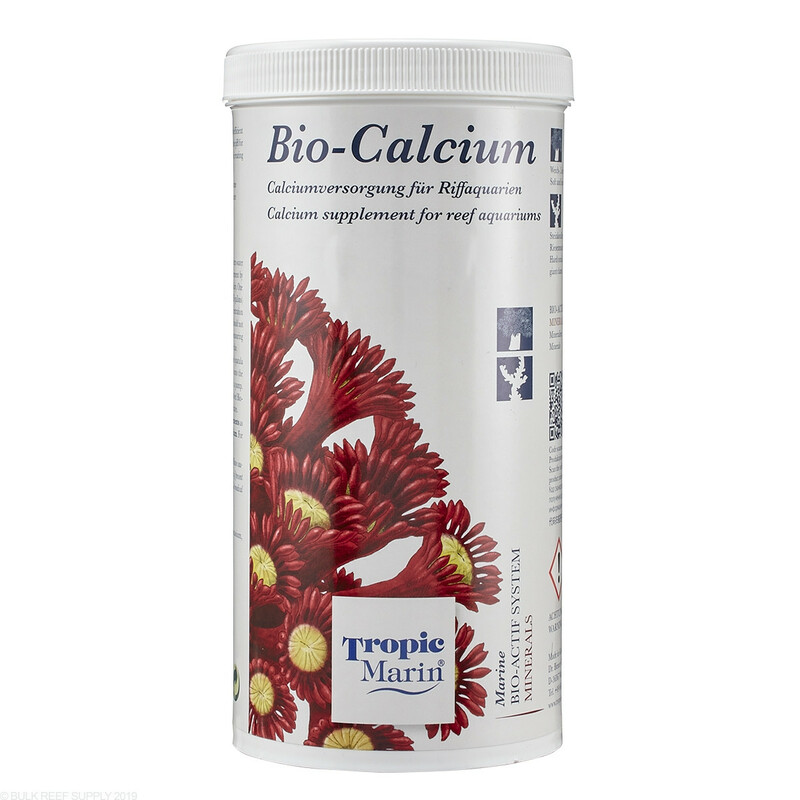 In contrast to other calcium supplements, Tropic Marin Bio-Calcium does not disturb the ionic balance and the pH value remains stable. Slowly sprinkle one measuring spoon full of Tropic Marin Bio-Calcium onto the surface of the water, where it is being circulated by your pump. 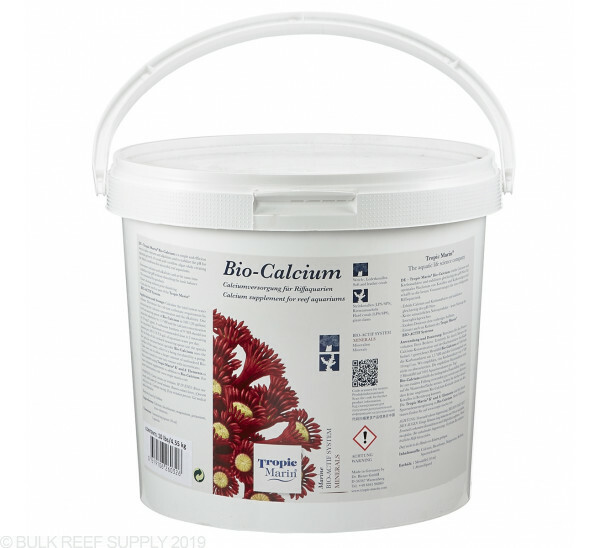 Take care not to allow a larger amount of undissolved Bio-Calcium to come into contact with invertebrates or corals. 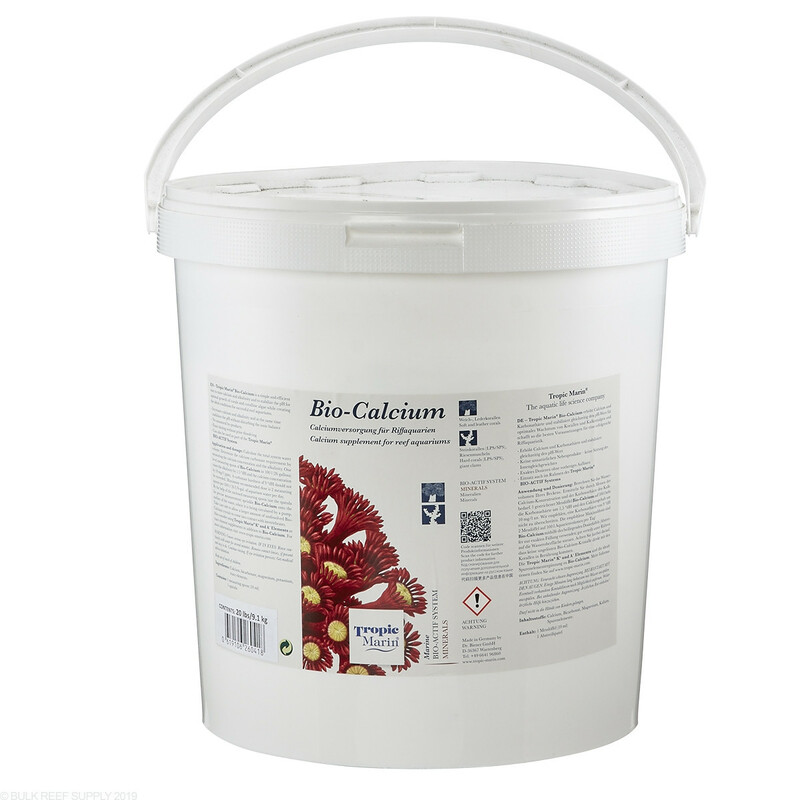 Each level measuring spoon will raise the calcium level of 10 US gall./36 l by approximately 28 ppm and the alkalinity by 4 dKH. Natural seawater contains approximately 410 ppm calcium and 6.5 dKH alkalinity. You should not exceed a calcium level of 440 ppm and an alkalinity of 8 dKH due to the possibility of supersaturation and subsequent precipitation of calcium carbonate. 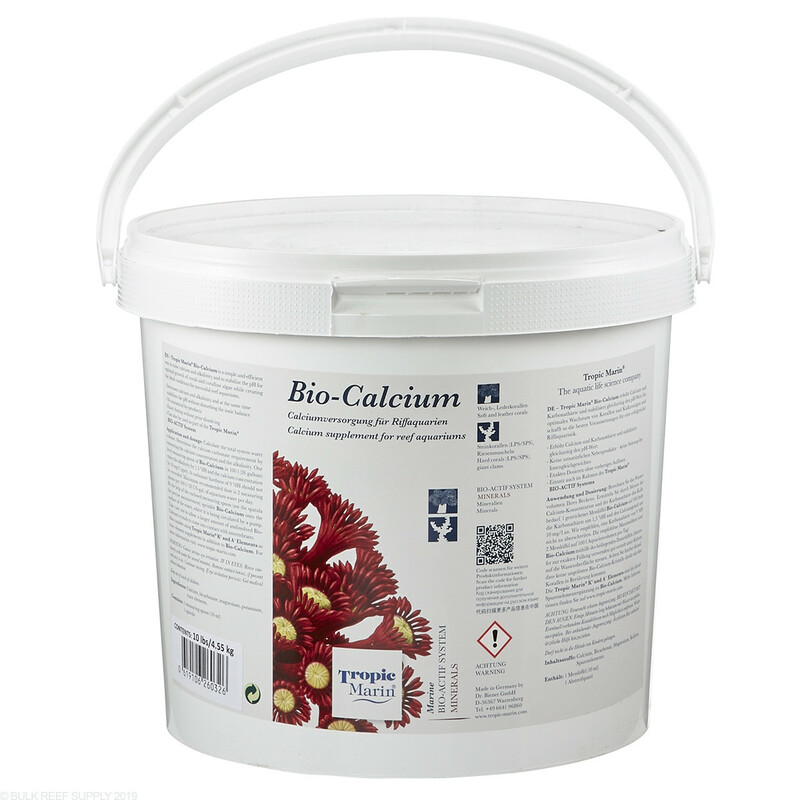 The maximum recommended dose is one level scoop per 10 US gall./36 l of aquarium water per day.